Zimmerman was allegedly enraged about the rapper's Trayvon Martin documentary. George Zimmerman, who was acquitted of murdering unarmed teenager Trayvon Martin, has been charged with stalking a private investigator working on a Jay-Z documentary about the case. Over the course of nine days in December, Dennis Warren got 55 calls, 67 text messages, 36 voicemails and 27 emails from Zimmerman, according to court documents. Zimmerman allegedly also threatened to feed the investigator to an alligator, the court papers show. Zimmerman, who's had several run-ins with law enforcement since the racially charged 2012 case that ignited protests, is scheduled to be arraigned on the single misdemeanor charge on May 30. Warren declined to comment, but according to a probable cause affidavit from the Seminole County Sheriff's Office, he was hired by a production company working with Jay-Z to contact people about participating in a TV series titled "Rest in Power: The Trayvon Martin Story." The investigator said he texted Zimmerman and left him a single voicemail with the number of co-producer Mike Gasparro, who then received a call from Zimmerman. After several months of interaction, Gasparro told Warren that Zimmerman was making threats against him. "He's well on his way to the inside of a gator," Zimmerman allegedly texted Gasparro about Warren. Soon, Warren began getting messages and calls, too, including a link to an online article in which Zimmerman blasted the Trayvon Martin documentary. "I know how to handle people who f--- with me. I have since February of 2012," the article quoted Zimmerman, apparently referring to the shooting of Martin. When a Seminole sergeant called Zimmerman in January to try to defuse the situation, Zimmerman began screaming and cursing at her, calling her a "whore," police said. Zimmerman's last attorney of record did not immediately respond to a request for comment. Zimmerman did not answer his own phone. The onetime neighborhood watch volunteer became a central figure in a nationwide debate over race and self-defense when he shot 17-year-old Martin in a gated community in Sanford, Fla., on Feb. 26, 2012. A jury found him not guilty of second-degree murder the following year. Months later, his estranged wife called the police on him and said he had threatened her with a gun and punched her father in the face, but she later declined to press charges and police closed the case without any arrests. In November 2013, Zimmerman was arrested for aggravated assault and battery after his girlfriend told police he pointed a shotgun at her, but prosecutors did not bring charges because she later recanted. Another woman told police in January 2015 that Zimmerman threw a wine bottle at her during an argument, but she also recanted. Zimmerman has also been the target of attacks. In 2015, a Florida man named Matthew Apperson — who had a "fixation" on Zimmerman, according to police — shot at him while he was driving. Apperson was convicted and sentenced to 20 years in prison. In 2016, Zimmerman reported being punched in the face at a bar. The same year, a deputy removed Zimmerman from a bar after an argument. Police said Zimmerman had used a racial slur against the manager. 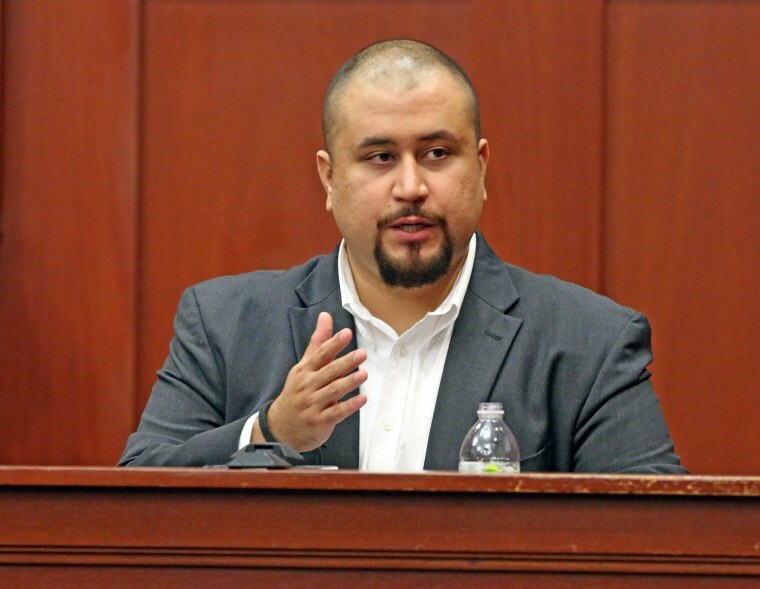 Zimmerman claimed he had been assaulted by a patron.